with the regulatory laws set forth by the various governing agencies. Full Service Environmental Consulting Company! Our firm has the experience to perform environmental inspections and audits for regulatory compliance, and can help develop environmental programs , based on business needs. Most Safety trainers offer OSHA training that is dry, and boring… they have presentations we have a show! We also offer trained, technical, competent labor to properly dispose of hazardous materials. Small and large lab pack jobs, job walks/quotes, chemical inventorying and packaging are services that ChemPack & Environmental excel in. We also partner with TSDFs and other Environmental companies. Schedule a Consultation and Learn More About Our Services! 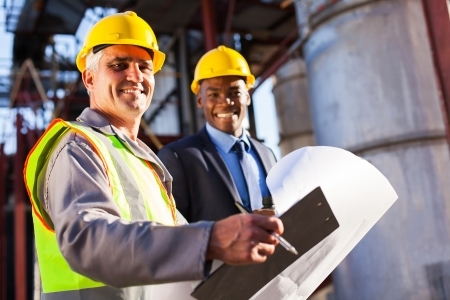 We are available to perform onsite assessments to measure your health and safety needs. Learn the tricks of the trade with help from Chempack & Environmental. We are an environmental company that specializes in hazardous waste management and training services. Backed by over 30 years of experience, our staff has a sincere passion for helping the environment and you. Contact our environmental consultants in Long Beach, California, for hazardous waste management services.